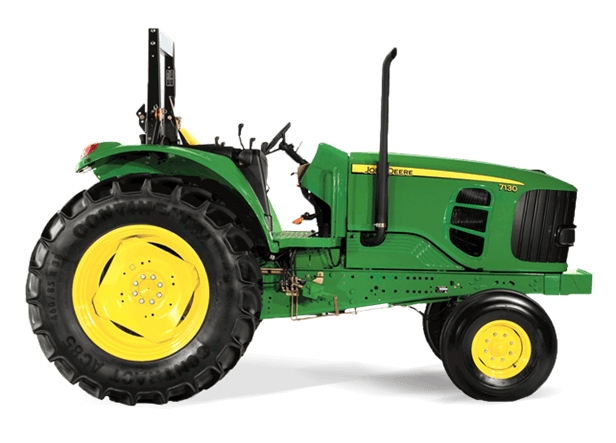 The 7130 Tractor has the features you need to get it done in the field, such as a reliable and proven 4.5 L engine, which delivers constant power over a wide range of rpm. Plus, the cab provides room and great visibility, making row-crop and loader work easier while protecting the operator from environmental discomfort. This tractor combines form and function into an eye-pleasing combination with easy, uncluttered access to all tractor and implement controls.